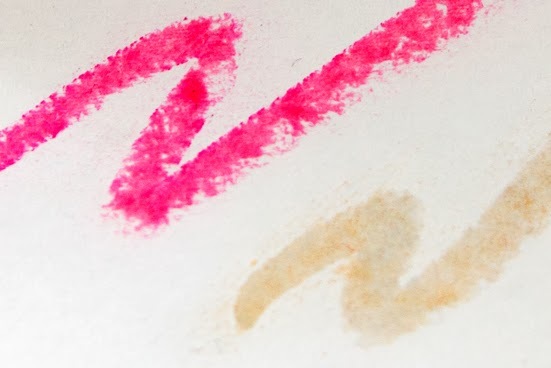 So Early, Early In The Spring - Spring ready make-up with Boots No 7. 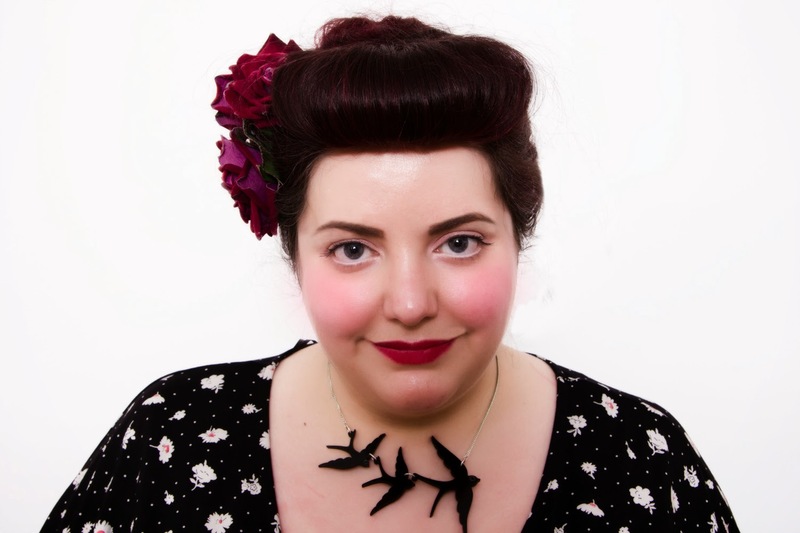 Although I am a complete sucker for the vampish dark pouts and elaborate eye make-up of the colder seasons, the lazy side of me cannot wait to restock my day-to-day make-up bag with a series of multi-use Spring essentials. Spring make-up is about creating a natural glow, with soft brights mixed in with dewy skin - easy, uncomplicated and allowing your skin to breath underneath. 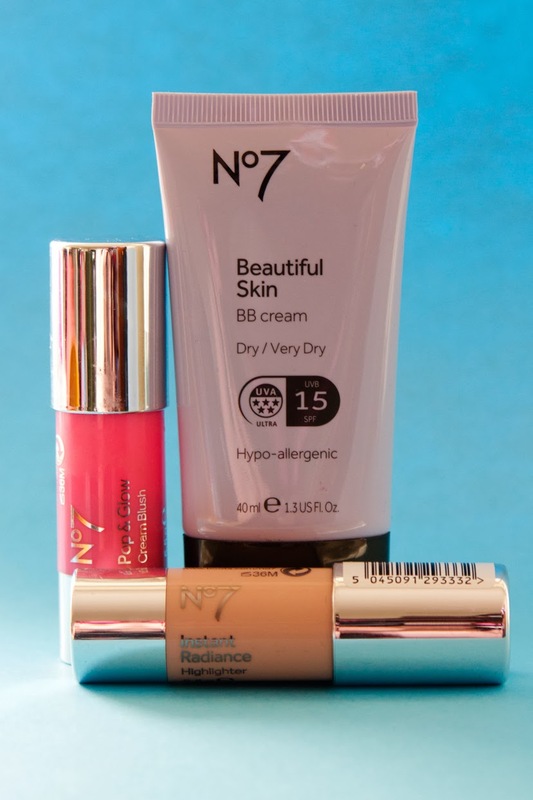 My SS14 make-up arsenal No 7 Pop and Glow Cream Blush Stick, No7 Beautiful Skin BB Cream and No 7 Instant Radiance Highlighter. Whilst the skin on my face is generally quite good, it can be a little dry at times and has a tendency to flush red, especially in warmer weather. As such I need something light to balance out the tone and hydrate and found that the No 7 Beautiful Skin BB Cream to be an absolute gem. 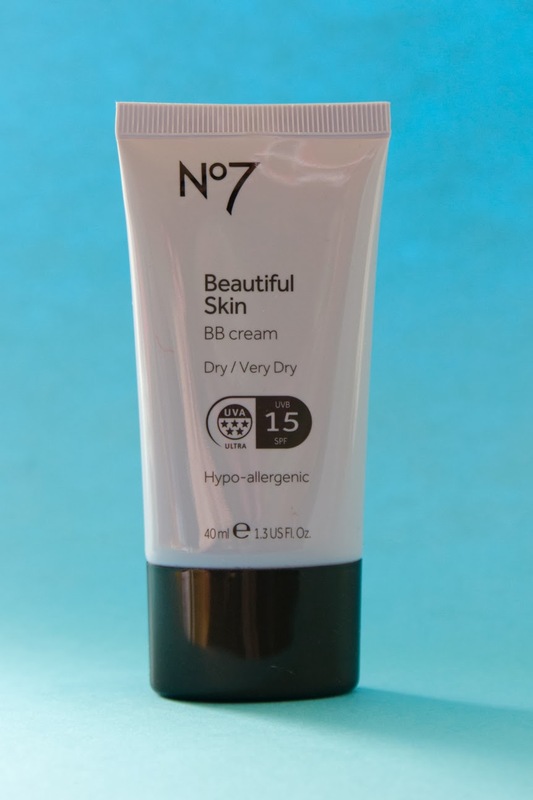 No 7 Beautiful Skin BB Cream (£13.50). The BB Cream comes in two shades and three different skin types so I went for the Dry / Very Dry variant in "Fair". My pale skin isn't normally a fan of items with limited shades, but the BB Cream is sheer enough that it melts in with your natural tone and didn't make me look yellow as I had initially feared. It also contains an SPF which is a huge plus, and in addition to balancing out my skin tone, it makes my skin feel hydrated and soft the whole day through. You can apply it quickly and with ease simply by using your fingers or a foundation brush. I tend to use cosmetic sponges, which means I can slightly build up the coverage across the areas of my face which need it the most. 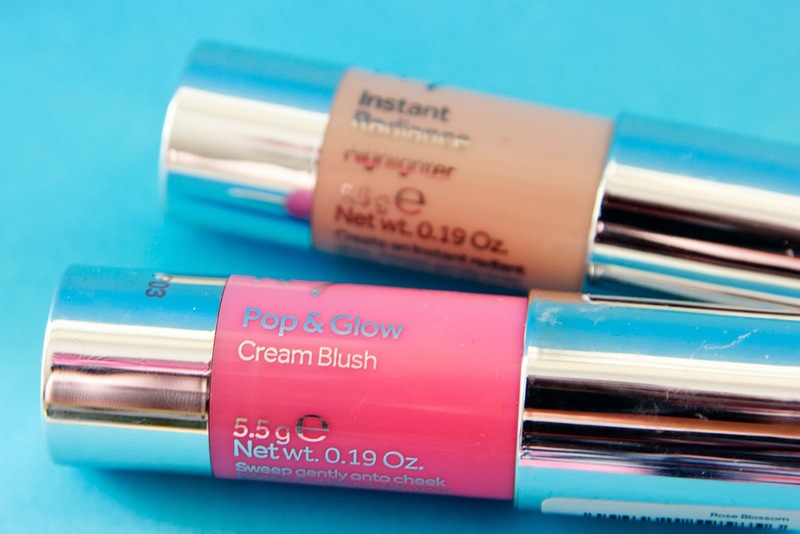 No 7 Pop and Glow Cream Blush Stick in Rose Blossom (£9.95) and No 7 Instant Radiance Highlighter (£9.95). 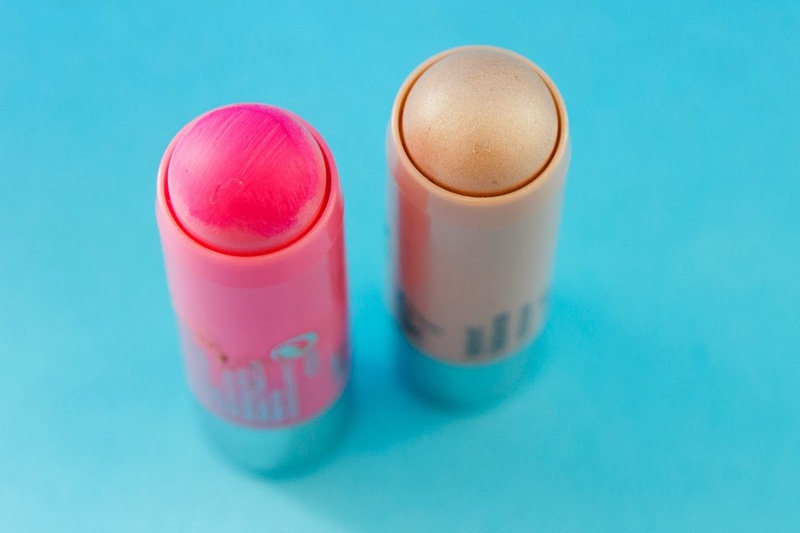 Left: No7 Pop and Glow Cream Blush Stick in Rose Blossom (£9.95). Right: No 7 Instant Radiance Highlighter (£9.95). To add a bit of colour and definition, look for brights which can be blended for a soft finish. The No7 Pop and Glow Cream Blush Stick is a new product from their SS14 range and comes in three shades - Rose Blossom, Mango Sorbet and Classic Rose. I went for their bright, Barbie Pink shade in Rose Blossom where a small dot on the cheek bone can be blended out to a soft but bright pink flush. 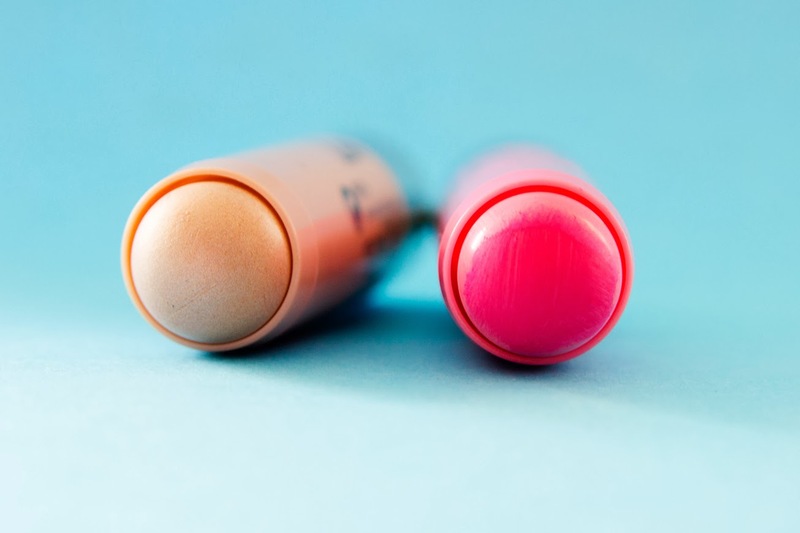 It has a similar quality to a lip and cheek stain, and in a bind can be dotted on the lips too. My favourite item from the SS14 range has to be the No7 Instant Radiance Highlighter. A tube of cosmetic alchemy, this soft gold glimmer suits almost every skin tone and is blended in to a dewy, glistening sheen to give the illusion of younger, healthier skin. Simply sweep it onto your cheekbones above your blush, along your top lip, under your brow bone and even the centre of your nose and it'll help define, sculpt and glimmer your way to a perfect photo finish. Like it's blush equivalent, just slick on and blend in with fingers. The items themselves feel easy to use and utterly foolproof. Their size and multi-use qualities also make them great for holiday make-up bags. I tend to wear them with white liner on my waterline, brow powder, a soft peach eye shadow and a sheer lip crayon for an easy daytime look.